Dr Terence (Terry) Boyd spent his working career equally between the property industry and academia. He started practice as a property valuer and portfolio analyst in South Africa. He was a major shareholder and director of Russell, Marriott and Boyd Trust. In 1986 he changed to the academic field where he progressed from lecturer to professor within 8 years. 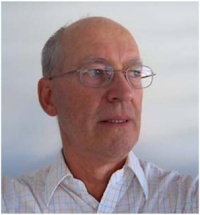 Since retiring as Professor of Property Economics at QUT, he has continued his research into property education and authentic learning environments and is contracted to, inter alia, Queensland Government, the private sector, CQ University, University of the Sunshine Coast and the University of the Philippines Open University. He lives on the Queensland Sunshine Coast and believes firmly in a balanced lifestyle which he currently enjoys. Managing Director, Investment Property Databank – AUS/NZ Anthony joined IPD in October 2009. IPD (Investment Property Databank) is the world leader in performance analysis for the owners, investors, managers and occupiers of real estate. Anthony is responsible for the delivery of products and services which include: real estate performance analysis; market indices; research publications; and events and training. 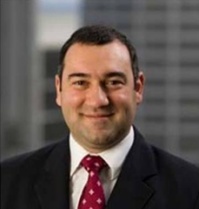 Prior to this role Anthony held a variety of roles including; the Head of Research at Colonial First Global Asset Management (2003-2009) and of Head of Research with Lend Lease Real Estate Investments Ltd (1998-2002). Anthony has over 10 years experience in various research roles. Anthony is involved in client presentations and seminars. Anthony is also involved in the education programs of the Property Council of Australia (PCA) and other industry and educational institutions. Anthony has a PhD in economics from UNSW with a strong quantitative background. Papers shown as "refereed" have been refereed through a peer review process involving an expert international board of referees appointed by the PRRES Board and the Conference organisers. Full papers were refereed with authors being required to make any changes prior to presentation at the conference and subsequent publication as a refereed paper in these proceedings. Non-refereed presentations may be presented at the conference without a full paper and hence not all non-refereed presentations and/or papers appear in these proceedings. All authors retain the copyright in their individual papers. Judith Callanan, An Update On The Latest Literature – The Effect Of High Voltage Transmission Lines On Property Values. Simon A. De Garis, "Rural Managed Investment Schemes In Victoria, Australia: The Demise Of Timbercorp." Bob Hargreaves And Iona Mccarthy, Is New Zealand Farm Land Worth What It Will Produce? J-Han Ho, Steven Rowley And Greg Costello, "From Nomads To Settlers: Scenario Analysis As A Guide For First Home Owners In Renting Versus Buying A Home In Perth, Western Australia." Tai-Wei Huang, Oliver F. Shyr And David Emanuel Andersson, "The Good, The Bad, And The Ugly – The Successes And Failures Of Transit – Oriented – Development In Taiwan During The Financial Crisis"
Patricia Fraser, Martin Hoesli And Lynn Mcalevey, "House Prices, Disposable Income, And Permanent And Temporary Shocks"
John Mcdonagh, "Critical Success Factors In Land Development In New Zealand Part 2 - Planning, Team Member Selection, Project Management, Sales And Marketing Methods"
John Mcdonagh & P.Brent Nahkies, Heritage Building Preservation – The Ultimate In Green Building? Professor Richard Reed And Georgia Warren-Myers, Is Sustainability The 4Th Form Of Obsolescence? Yasmin Mohd Adnan Md Nasir Daud, "Identification Of Important Factors For Office Space Decision By Tenants In Kuala Lumpur City Centre, Malaysia – Experts’ View"